Versions: Recorded with Access 2013. Also use with 2007 and 2010. 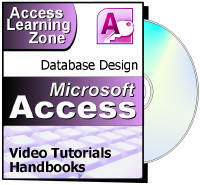 Access 2003 users should get Access 308 for the lessons on exporting, and Access 310 for the lessons on conditional formatting. Today we will begin by learning all about Conditional Formatting. This is where you can change the format (font, color, etc.) of data based on the value of the data. We'll start by learning how you can create simple rules, such as "change this field red if the value is greater than or equal to 500." Then we'll learn about more complex rules involving multiple formats. For example, show the value in red if it's under $20 and yellow if it's over $500. Next we'll learn about the very powerful Conditional Formatting Expressions. This is where you can set a format based on any formula or function you want, such as changing the color of the customer's name to yellow if it includes the string "Inc" within it. You can even use expressions to change different fields. For example, set the color of the entire row to yellow if the order total is over $500. You can use conditional formatting to disable changes to a record if a particular value is set. For example, don't let the user make any changes to an order once the "Is Paid" checkbox is set to yes. In this example we just locked the customer selection combo box, but you can apply it to all of the text fields if you'd like. You can use the Field Has Focus rule to set the format of the field that the user is currently on (clicked or tabbed to). This is nice for highlighting which field "has focus." 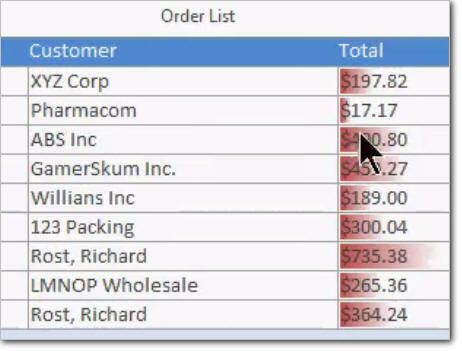 You can use Data Bars to visually indicate the highest and lowest values in a range of values. For example, here we've used Data Bars to show the highest sales and lowest sales. The higher the order total, the more "red" the field appears. Next we'll learn how to export data from our database into different formats. We'll begin by learning how to export to Excel. 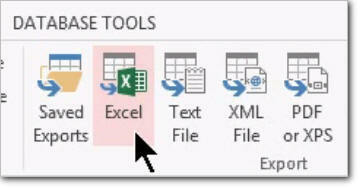 We'll discuss the different types of Excel file formats, and see how to get our data into an Excel spreadsheet. You might not want to export ALL of the records from a table, so next we'll make a Customer Export Query so we can go through our list of customers and pick which ones we want to export to Excel. Next up, exporting to Microsoft Word. 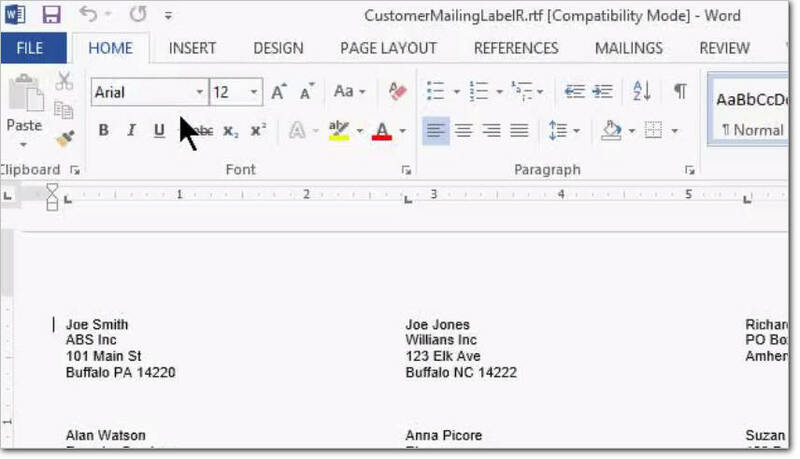 We'll see how you can take those mailing labels we created in an earlier class and send them straight to Word. This way you can edit them individually before printing them, or you can send them to someone else to be printed. We will learn how to use a powerful feature called Mail Merge in Microsoft Word. 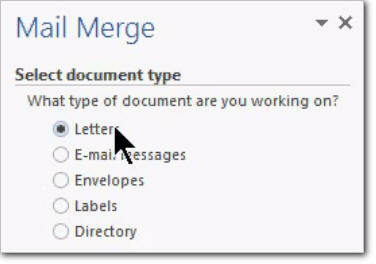 This will allow us to use data from our Access database and merge it into document (such as letter or envelopes) in Word to send mass mailings. 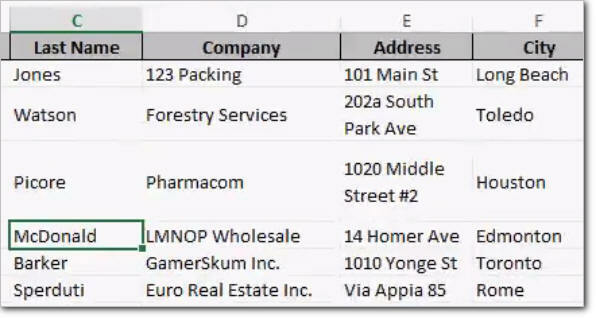 We'll learn how to use Merge Fields to format the document exactly as we want it, by putting the data fields from our database exactly where we want them in the document. Next we will learn about Exporting Text Files in various formats. 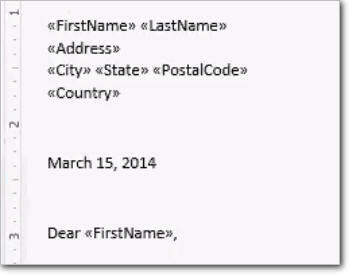 We'll learn about Fixed Width and Delimited Text, field delimiters, text qualifiers, formats for dates, and much more. We'll learn how to save our export specifications to be used later. Finally, we'll learn how to export to other databases. We'll export our tables to another Access database, export to XML, and we'll discuss exporting to Sharepoint and other ODBC sources, such as SQL Server. Finally, we'll learn how to export our data in standard HTML files that can be uploaded and used directly in your web sites. This is the 19th class in the Access Expert series. There is a lot of great material in this class. 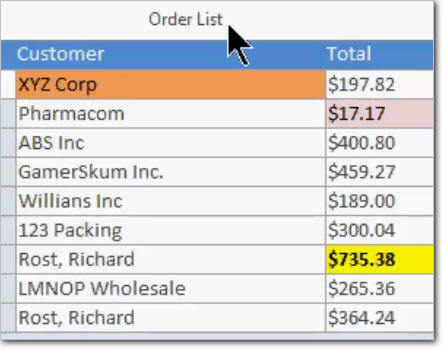 Conditional Formatting will add a look of professionalism to your database, and knowing how to export data into various other formats will help you share your data with the world. Of course, if you have any questions about whether or not this class is for you, please contact me. Greater than, Less than, etc.